According to the official forecast of the Economic Development Ministry, Russia’s GDP will decline by 0.2 percent this year. 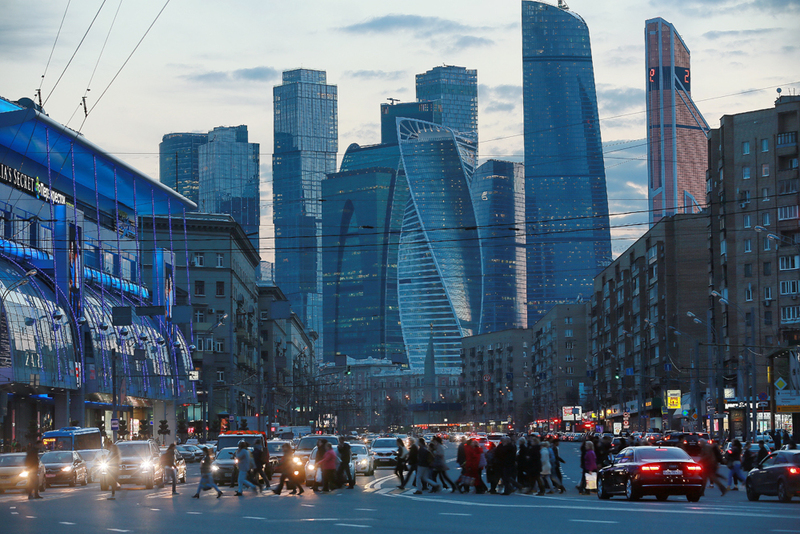 Russia’s recession is easing and growth may resume by the end of this year, analysts at Fitch Ratings said in a new report providing a country-by-country overview of sovereign credit trends in emerging Europe released on June 30. According to the report, higher oil prices are supporting the fiscal position, but there remains uncertainty over possible spending ahead of Russia’s legislative elections in September and over the medium-term fiscal plan, which will be unveiled after the polls. "The stabilization of the Russian economy, and a modest appreciation of the ruble, should support performance in regional trading partners. However, likely tepid Russian growth is not expected to lift investment or the employment of expatriates whose remittances are a key source of revenue to some near neighbors," Fitch said. According to the official forecast of the Economic Development Ministry, Russia’s GDP will decline by 0.2 percent this year. The Finance Ministry does not rule out growth of GDP in 2016 in case positive factors persist in international economic environment, Deputy Minister Maksim Oreshkin said earlier.